Hungry, but short on time? 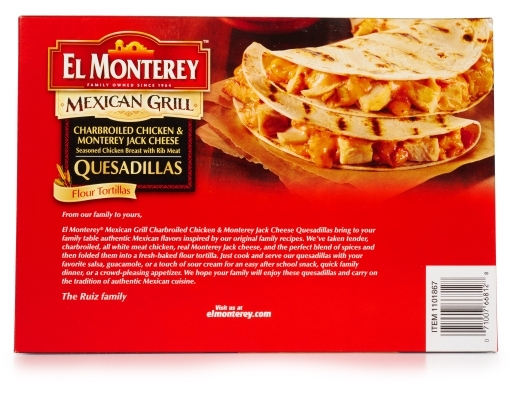 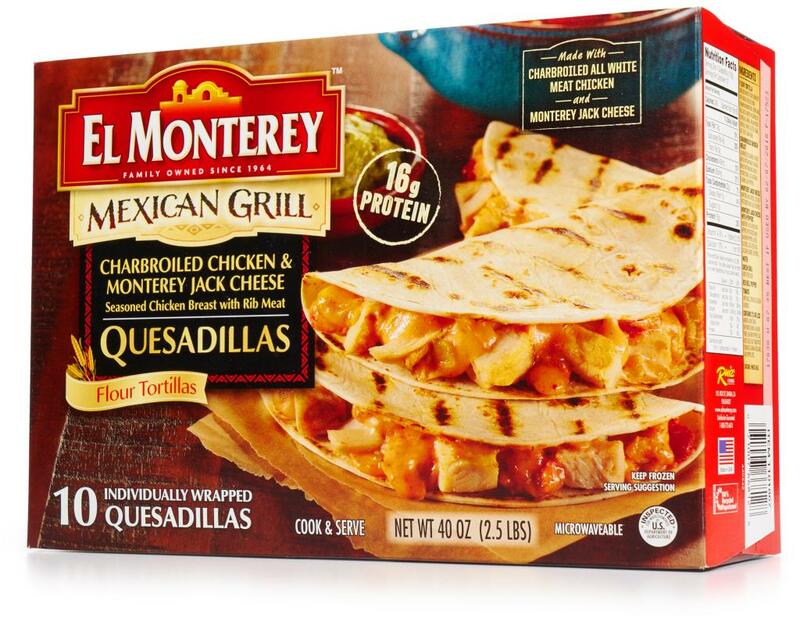 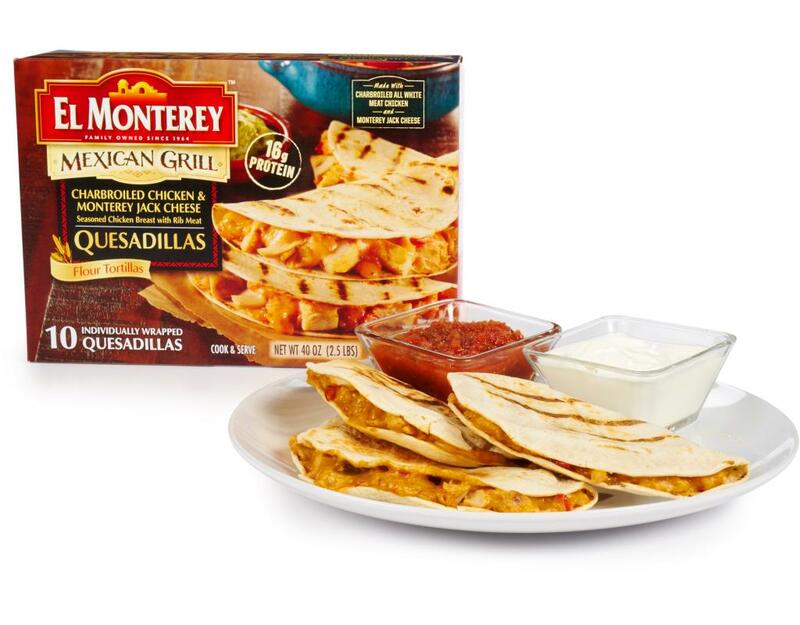 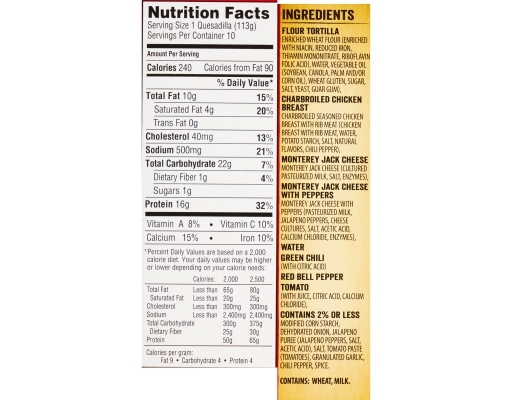 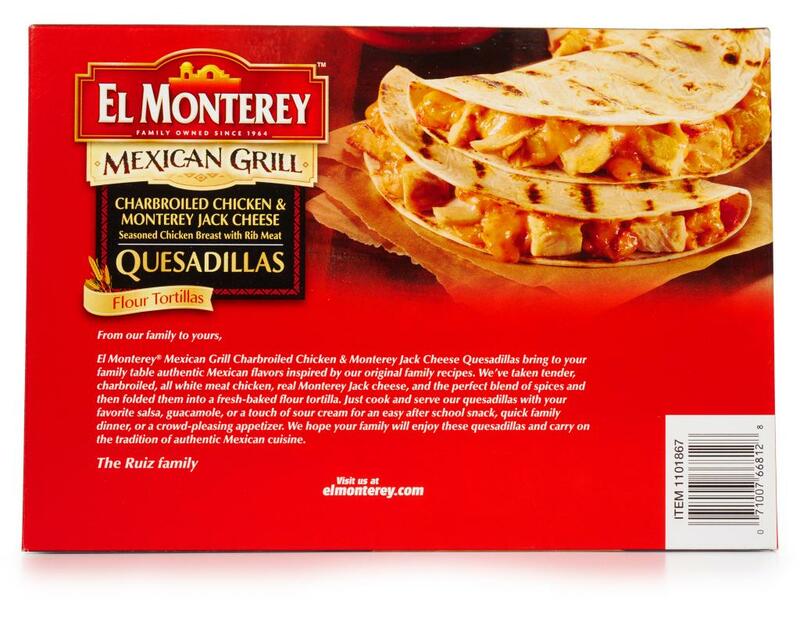 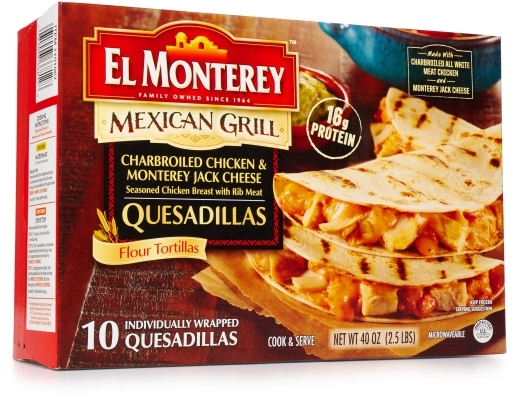 Dig into El Monterey Charbroiled Chicken & Monterey Jack Cheese Quesadilla — it can be ready in minutes. 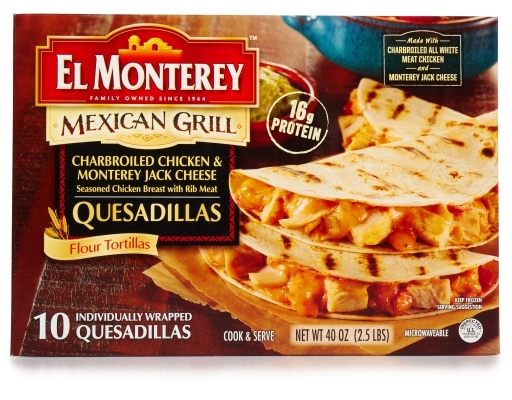 Each fresh-baked tortilla is loaded with high-quality ingredients, including charbroiled chicken, Monterey Jack cheese, and authentic Mexican spices.